Ellebox is a monthly subscription box for women and is all about self-care for that time of the month. Important announcement: Ellebox has grown up and is now Blume! Blume offers a similar self-care period experience with more customization and sophistication. 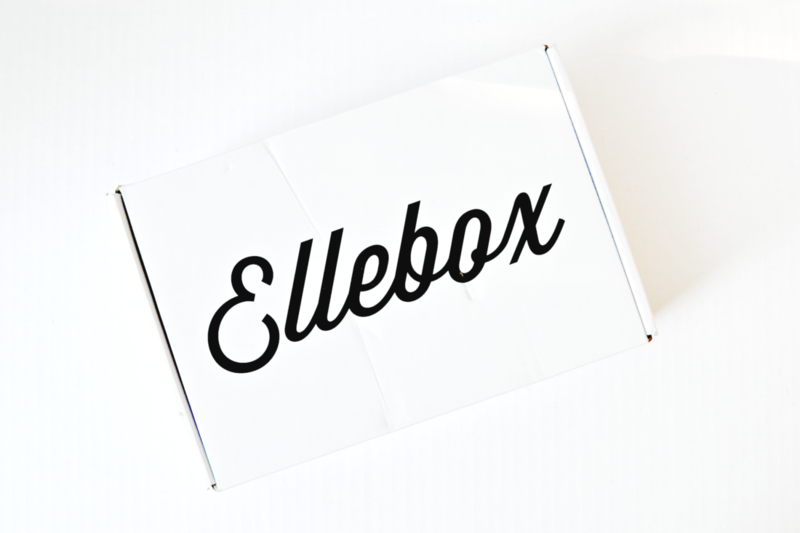 Ellebox doesn’t really have a monthly theme and is instead customized to your needs and comfort. With summer, Ellebox included information on sun exposure safety and a yummy summer treat that can actually help with the irritability, mood swings, and tension experienced during your period—it’s pineapple! I don’t know about you, but since having kids, my periods are accompanied by crazy munchies. It’s the only time of the month that I actively crave salt and chocolate, so I loved seeing this fun little bag of sea salt caramel popcorn from Poplandia. Going along with the information and special offer I saw when first opening this month’s Ellebox were the Polish and Tone treatments from Chorus. I’ve tried these for a few weeks now, and I am absolutely in love! I’m so excited that these were in my box! Tone is a botanical toner that I alternate with my redness reducing toner from Neutrogena. I love the instant hydration it gives my skin, and it was gentle that even my super sensitive skin was instantly super happy. I do use a few products from Hada Labo that include hyaluronic acid—namely the Milky Lotion, Hydrating Serum, and Plumping Gel—but I still find that my skin does need a physical exfoliant every week, and I’ve loved incorporating Chorus’ Polish into my skincare routine. I’ve noticed a big difference in the softness of my skin, and I love that it is gentle without being ineffective. I really loved the idea of this tea, but I didn’t find it particularly great tasting. I’m also not a huge fan of products that claim to remove toxins from the body because that literally isn’t possible. Adam Ruins Everything did a fun, research-based segment on the detoxing scam here that I’d highly recommend. Still, there are definite benefits that come from using some herbs (chamomile helps with headaches, willow bark reduces fever, and ginger soothes upset stomach), so it was nice to see a helpful botanical product included in this Ellebox. The tampons themselves were great! I love that they’re organic, especially since the FDA does not require ingredients listed for feminine hygiene products and does not require them to be sterile. Knowing Ellebox was going above and beyond made me feel very comfortable. Now as Blume, you can customize your box to include whatever variety of tampon and pad sizes you need for your monthly period. Overall, I really loved my June Ellebox. The curation was on point and everything included fit with Ellebox’s mission. After hearing they were becoming Blume, I’m even more excited for all the new things to come. From customizing exactly the period supplies you need to choosing what types of self-care or treat items will be included in your personalized box, Ellebox→Blume is doing great things! Build your personalized box now!